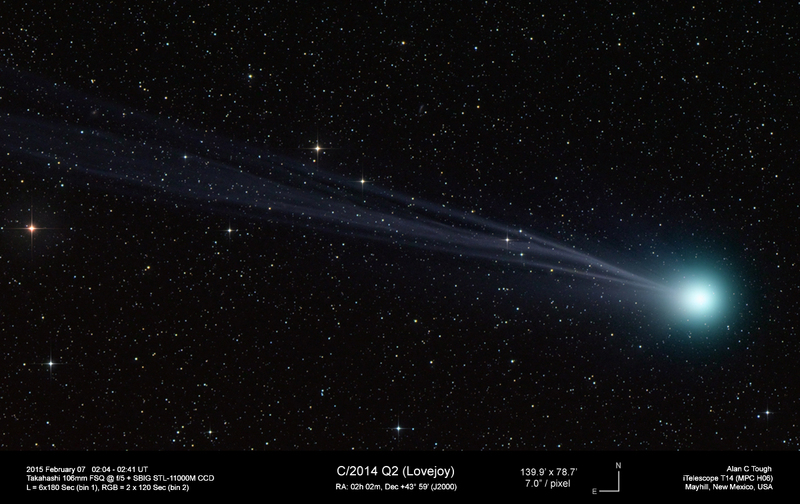 Comet C/2014 Q2 (Lovejoy) imaged on 2015 February 07 from Mayhill, New Mexico. Total exposure time was 30 minutes. The bright star at the left-hand edge is 60-b Andromedae (visual magnitude 4.84). There are also a couple of wee galaxies in this image: namely NGC 812, at magnitude 11.20 (above the middle of the tail) and NGC 846, at magnitude 12.10 (within the tail).